Ronnie James Dio (born Ronald James Padavona, July 10, 1942 – May 16, 2010), was an American rock and heavy metal vocalist and songwriter. He performed with, among others, Elf, Rainbow, Black Sabbath, Heaven & Hell, and his own band Dio. Other musical projects include the collective fundraiser Hear 'n Aid. He was widely hailed as one of the most powerful singers in heavy metal, renowned for his consistently powerful voice. 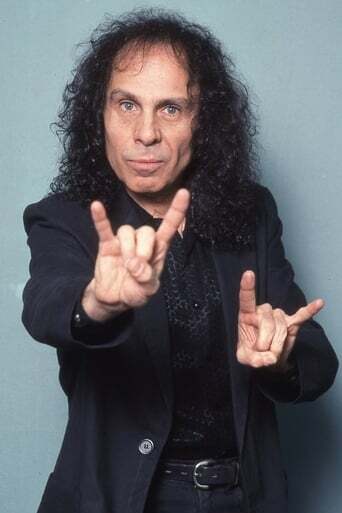 He is credited with popularizing the "metal horns" hand gesture in metal culture. Before his death, he was collaborating on a project with former Black Sabbath bandmates Tony Iommi, Geezer Butler, and Vinny Appice, under the moniker Heaven & Hell, whose only studio album, The Devil You Know, was released on April 28, 2009. Dio died of stomach cancer on May 16, 2010 at St. Joseph's Hospital in Burbank, CA. One of the last songs he recorded was titled "Metal Will Never Die". Ronnie James Dio has sold over 47 million copies of albums with all of the bands he has worked with.